In the event of a cat emergency during our normal business hours, call (630) 627-7090 and we will offer you a SAME DAY appointment. In urgent situations we will advise you come right over. We prefer that you contact us before coming in so we can provide you with instructions and prepare for your arrival, however we realize this may not always be possible. 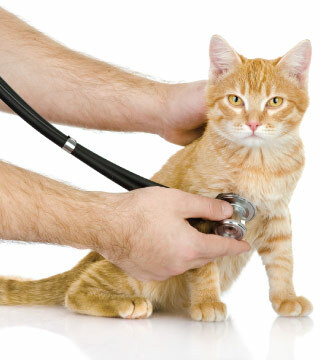 We’re committed to do all we can to help if and when your cat requires urgent care. Our doctors and other trained animal care staff are available to provide emergency services for most situations every day of the year, including holidays, during our extended hours. Drop-off and pick-up servce is available upon request. Our experienced veterinary team can help increase the odds of recovery for your beloved feline friend, even in the face of the most severe cat emergency care situations. Some types of situations may concern you, but may not have you convinced your cat needs immediate care. In these cases, it is still best to err on the side of caution. Please call and our staff will do our best to help you decide the best course. Unfortunately, cats will quite often mask symptoms and it may be difficult to determine the seriousness of the illness. We are here for you and will take care of your cat in the best way possible. Of course we cannot explore every possible emergency scenario here, however, if you are worried about the health of your cat, and especially if you are worried that they may be experiencing a life threatening situation, please call us immediately at (630) 627-7090.